← Bring on the Empty Nest! It started oddly enough. Our church’s women’s ministry was beginning a new mentoring program. Now this is something that has always been near and dear to my heart because I’ve always been blessed to have an older friend to help me navigate life. 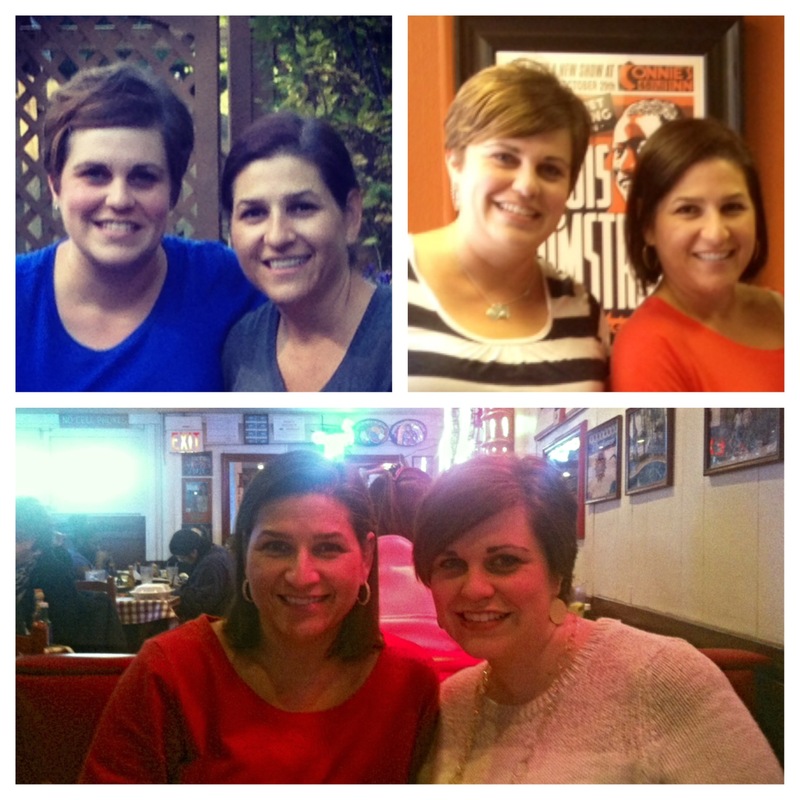 Cindy showed me how to be a wife, Peggy showed me how to be a mom and Leigh showed me how to be a Godly woman. (hey, they did their best… they’re not miracle workers) So when the sign-up for this appeared, I was SO in!! There was an initial meeting to see who was interested and then a second meeting where you found out your match (yes, it felt somewhat like match day at med school… would I get picked? would I like said pick??) When they introduced me to my mentee, I was perplexed to say the least. She was single, young, career oriented and worst of all A MORNING PERSON!!! What were you people thinking?? I knew without a doubt this was never going to work. She insisted we get together the very next night to decide when our required weekly meetings would take place. I began to soften when she wanted to meet at California Dreaming since they have croissants to die for. We were not far into our conversation when she dropped the BIG BOMB “Let’s meet early one morning.” Those of you that know me might need a minute to stop laughing…. those of you that don’t, should know that I sleep until the LAST POSSIBLE SECOND because I am not, nor have I have ever been or even aspired to be a morning person. So I quickly responded, “I can’t I have to be at work by 8:30am.” (insert sickeningly sweet smile on my face J) to which she quickly replied in her self-assured twenty-something way, “Get up earlier. It will be like found time.” Well, what do you say to that?!?! I rolodexed through my brain to find an excuse, any excuse to get out of this horror that I found myself in and I. HAD. NOTHING. So I agreed. That was the beginning of many realizations for me: we are never too old to learn or make a new friend, I was oh so wrong about this not working out, God’s plans are SO MUCH better than ours and a diehard non-morning person can change. Our meetings (yes, she not only convinced me to meet TWICE a week but to meet at 6:45am- over an hour and a half before I had to be at work) not only were the highlights of my week but seven years, one move to Nashville (her), one retirement (me), two babies (her!) and one empty nest later (me) we are closer than ever. We text/email daily and see each other no less than once a quarter. She is a part of my boy’s lives and I am a part of her kid’s lives. We keep each other on track especially where our faith is concerned. She even had her own “Are you kidding me reaction?” when we were paired and if she’s really nice, I’ll let her share that one day. It’s funny because a co-worker once pointed out that when I’d refer to her in front of others I would always say “my friend Ansley” like that was her whole name. Before long, I noticed that I’d shortened it even more because she is my dearest friend, my confidante, my book-loving twin, my cheerleader, my pride check, simply put people, she is MY ANSLEY. I love this!! Ans is SO blessed to have you in her life as well. Now if I could just clone you … I could really use a Wendy in my life lately. 🙂 Love the blog and all you have to share. Keep it up! !